This idea is all thanks to my bud David who suggested I make this article. At first I was stumped on even making a Top 5 for this list but after some extensive research and my memory hitting me in the face with titles that never released, I managed to get this together. There have been plenty of cancelled video games over the years but some stick out more than others. The games listed below all seemed like they could easily become success stories but different events have either forced them into development hell or cancellation. Many of these titles still have a slim chance of being made but it's going to take a lot of effort from both the developers and the fans to see it come true. This is a confusing tale thanks to the issue of owning the rights to make games in the D&D universe (currently Atari holds those rights though Atari never made this series of games). Since BioWare couldn't get the rights, they made Dragon Age and since Interplay Studios can't get the rights back, they plan to make an entirely new game. So the bad news: we'll never see the actual Baldur's Gate 3 game with its cast of characters involved in the same D&D universe. The good news: we've got the highly successful Dragon Age franchise and the possibility of another company making an entirely new game. Take that how you will. Not much is known about this game since Nintendo has been trying to remain silent about the project. In the Metroid timeline it would supposedly take place after Metroid Fusion which would make it the latest game in the series. There's even a reference to the title in Metroid Prime 3. It wasn't until 2009 before Yoshio Sakamoto (the co-creator of the Metroid series) even admitted that this game was ever in the works. Out of all the titles on this list, this one actually has the highest chance of still being made so let's hope for that. A stealth/third-person shooter game set in the StarCraft universe? So it's essentially a, "What if Metal Gear Solid and StarCraft had a baby?" kind of scenario. That actually sounds pretty exciting already and yet there's even more to it. The multiplayer that was planned seemed like they were adding in another game for the price of one. The multiplayer would be the equivalent of taking on the roles of the character classes from the real-time strategy games with team based gameplay in open areas that included vehicle combat. Reading about the concept sounded like the best of Halo mixed into a StarCraft game world. The whole package deal sounds pretty epic but the world may never know. The original Legend of Dragoon (LoD) was a popular JRPG on the original Playstation that still gets mention in forums today because a second game was planned due to the original's success. Two console generations later and it's kind of obvious it's not going to happen at this point but the LoD showed promise. While LoD had a very definitive ending, the concept of a second generation of dragoons was implemented into the story. Either creating a prequel or coming up with a way to implement a third generation into the LoD mythos could be pretty awesome. Eternal Darkness is a game that a lot of gamers missed out on during the GameCube era. It wasn't only considered one of the best titles on the GameCube but better than most titles on any console. A psychological horror/action adventure game that involves 12 different characters throughout different timelines. The first title was praised for its character development and use of a sanity meter. Another game set in this universe would be extremely refreshing in comparison to the thousands of zombie titles overrunning the horror genre today. Classic retro Mega Man with the ability to create and share stages, play as other Capcom characters (Ryu from Street Fighter and Arthur from Ghost 'n Goblins were previewed), and added RPG elements to adjust stats, abilities, or even jumping height. Cancelled without any reason given whatsoever. 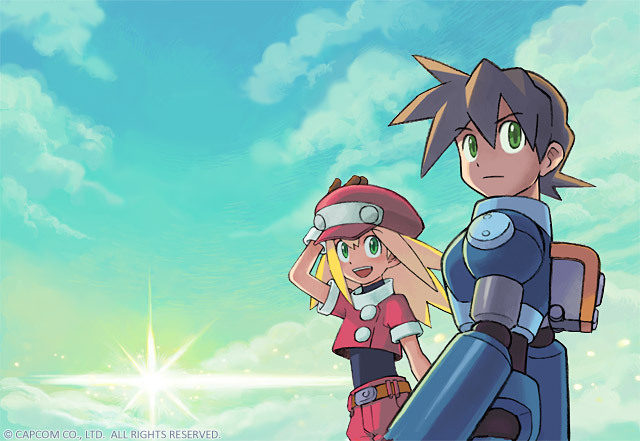 The only truly 3D Mega Man game with a complete reimagining of the storyline, characters, and world. This has to be the most recent upset of this list and may have hurt a bit more than most since the fans were part of the creative process. The first major community project involved game had fans designing ideas, voting, and working through each step of the game with the creators. The demo/beta/protoype version of the game would have allowed fans to give more feedback and Capcom to judge possible sales for the completed game but in the end the demo was never released and the game was cancelled. Due to how recent the cancellation was, there may be a small hint of hope left for this game but the current answer from Capcom is that there are no plans to ever release this title. Chrono Trigger and Chrono Cross are still regarded as some of the greatest RPGs ever made and Chrono Break was the planned sequel to the franchise. While many of the creators have been interviewed and expressed interest in making a sequel, there's no telling if it will ever actually happen but we can continue to hope. Star Wars Battlefront 1 & 2 sold like hot cakes but the third title in the series has been passed along to multiple developers to the point of never being released and ultimately considered a dead project. There was leaked video footage that IGN picked up before Lucas Arts asked them to take it down (which can still be found on Youtube and other sites). That footage actually looked amazing and it seemed like the next logical step for the series but that particular version of Battlefront 3 will never be made (it was made by a different company that still holds the rights to that content) and there is still no news if there will ever be a Battlefront 3. The KotoR series is practically legendary at this point. The third entry in the series was actually scrapped to make room for the development of Star Wars the Old Republic (an upcoming MMO made by BioWare). Some fans say they'd rather have the third title in the series and if Old Republic is successful then there might still be a shot for it in the future but for now it's dead in the waters of Kamino. This is Kylak signing out and hoping I'm wrong in a future where these games do exist.